Today the House will vote on “The Federal Employee Tax Accountability Act of 2015” (H.R. 1563), which would deem those with a “seriously delinquent tax debt” ineligible for federal employment. The legislation mandates that federal agencies terminate all employees who have a tax levy against them. H.R. 1563 will result in many experienced and qualified federal employees being fired. The firing of these employees will lead to reduction in agency productivity due to inefficient amount staffing along with distractions to employees who fear termination. Additionally, it will lead to an increase in agency spending due to costs involved with hiring new employees. The legislation also requires that when applying for federal positions, all applicants must be “required to submit certification that such individual does not have any seriously delinquent tax debt.” This is a violation of federal employees’ right to keep their personal financial and tax records private. The federal government prides itself on it’s competitiveness and employing the most qualified people this country has to offer, and NAGE fears that candidates will abandon the application process as soon as they are asked to submit their financial information. NAGE understands the importance of abiding the law. However firing tax delinquent federal employees is not an appropriate punishment, nor an effective tactic in recovering these unpaid taxes. Leaving federal workers unemployed with no income will not encourage them to pay their taxes any faster. 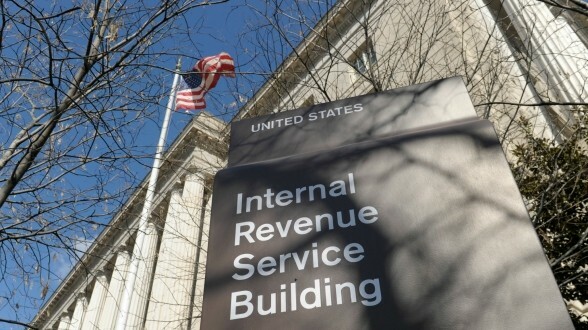 In a report released by the IRS, in 2013 the federal government had 96% compliance percentage. Therefore other repayment options, such as the Federal Repayment Levy Program, must be explored. NAGE believes that any attempt to fire federal employees or deny applicants the opportunity for employment due to their financial status is an extremely inappropriate, and will not deliver results. NAGE strongly opposes this legislation.